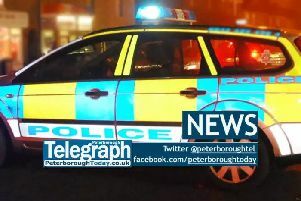 Martin Wiseman, 53, of Clover Road in Market Deeping, appeared at Peterborough Magistrates’ Court today (Wednesday, January 25) and was ordered to pay a fine of £78, a £30 victim surcharge and £250 costs. The court heard that on the afternoon of 5 July 2016, Wiseman parked in a pay and display space close to Westgate House, Park Road, Peterborough, and displayed a Blue Badge belonging to a relative who was not with him in the vehicle. Wiseman displayed the badge in order to avoid paying for the parking fee. The car was parked in the bay for five hours while Wiseman went to work as a delivery van driver. Councillor Irene Walsh, cabinet member for communities and environment capital, said: “Abuse of the Blue Badge scheme is very unfair on genuine badge holders who need to park close to the places they need to visit. “The Blue Badge is for the sole use of the person named on it and must only be displayed if the badge holder is travelling in the vehicle as a driver or passenger, or if someone is collecting them or dropping them off.